In the Twin Cities, the place to go to find a hairdresser you like is Credo Salon Spa in Stillwater, MN. Not only is it important that you like your hairdresser, but you can trust her with your most precious asset: your hair. A hairdresser is responsible for making you look your best! At Credo, there are three beautiful hairdressers you should know: Jessica, Diana and Janelle. Jessica trained at The Aveda Institute. As a lifelong learner, she’s always keeping up on the latest cuts and styles. A hair color expert, Jessica is also known for giving ladies movie star quality updos. Diana came to be a hairdresser Stillwater MN, by way of East Coast training. Do you want a complete makeover? Are you ready for a new look? Diana is great at helping you figure out what direction to take your hairstyle so it will bring a smile to your face when you see “the new you” in the mirror. Janelle, meanwhile, has more than dozen years of experience as a stylist, and her expertise lies in knowing which product is right for your hair. If there’s information to know about hair and hair care products, as well as what’s trendy, Janelle is your go-to hairdresser. She’s also a color and cutting specialist. Looking for a hairdresser Stillwater MN? Credo Salon Spa is THE place in the Twin Cities’ region for haircuts, updos and more! This entry was posted in Hair Products Stillwater, Hair Salon Stillwater, Salon Services, Salon Stillwater MN and tagged Hair Stillwater, Salons on April 15, 2014 by Credo Salon Spa. 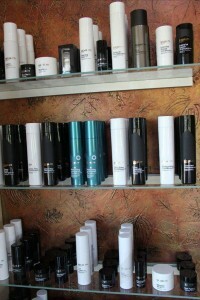 For salon products in Stillwater, MN, go to Credo Salon Spa. There you’ll find a good selection of salon and spa brand names you won’t necessarily see elsewhere. Hair, skin and nails are all important parts of you looking your best in the Twin Cities, and Credo’s a salon in Stillwater, MN, offering high quality beauty brands. Schwarzkopf-brand hair color will make your dull hair stand out with its new, bold look. Salon-exclusive Moroccanoil® is filled with nutrients and antioxidants to give your hair a healthy shine. SkinCeuticals prevents skin damage, protects your skin, and corrects previous damage. Pevonia products have safe and natural ingredients known to aid in skin rejuvenation. Jane Iredale, the skin care makeup, includes minerals to protect your skin from the sun. With pharmaceutical grade vitamins and antioxidants, Jane Iredale products are top-of-the-line for skin care. CND Shellac™ is the original and only power polish service. Your nails will have two weeks (or more) of superior color—impressive! Want to have long-lasting, chip-resistant nail polish? OPI salon products are perfect for that. The best salon in Stillwater, MN, where you’ll be pampered, is Credo Salon Spa. Come in and talk to the staff about your concerns and needs, and they’ll be happy to connect you with the right salon products to enhance your beauty. This entry was posted in Hair Products Stillwater, Salon Stillwater MN, Salon-Spa Stillwater and tagged moroccanoil, pevonia, SkinCeuticals on April 4, 2014 by Credo Salon Spa. Hair removal is an issue with which both men and women struggle, particularly when it comes to wanting to remove the most hair possible from the pubic area. Brazilian waxing achieves the goal of complete pubic hair removal, and the results are cleaner and last longer than shaving because the hair is lifted out at the root. When scheduling a Brazilian waxing, pain may be the primary concern. While most people experience some pain during the course of a waxing session, there are ways to minimize discomfort. Taking two ibuprofen pills 30 minutes to an hour before going to a waxing appointment can greatly minimize pain. This is especially recommended for people who have never had a Brazilian wax. Applying a topical numbing agent can also desensitize the area. During the appointment, relaxing and exhaling as the hair is removed can help with further pain management. It is important to remember that the pain is temporary and will subside noticeably with subsequent waxing sessions. Irritation is another concern when it comes to hair removal. Although waxing removes hair cleanly, some clients may experience irritation within a day or two of having their appointment. Applying post-waxing ointments or Vitamin E oil or cream can soothe the skin before irritation can occur. Swimming and soaking in hot tubs should be avoided for 24 hours following a Brazilian wax. This entry was posted in Brazilian Waxing Stillwater, Salon Services, Salon-Spa Stillwater, Stillwater Waxing on March 14, 2014 by Credo Salon Spa. Finding the perfect Stillwater massage is a must for any fashionable woman, and luckily for residents of the Stillwater area, there is plenty to choose from. By knowing what to look for, you can quickly find the best Stillwater spa to fit your needs, and make sure your massage is always in tip top shape. 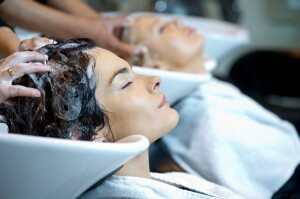 First, it is key to know what sort of services you require out of your local spa. Different spas will offer different services, and those in the know ask ahead to make sure they don’t leave disappointed when a spa doesn’t offer exactly what they want. For example, do you want a salon that offers refreshments? Keep this criteria in mind during your search. Once you have your search narrowed, it is important you find the spa that fits into your budget. There are many spas to choose from and there is something to fit all budgets. Most spas offer a menu of services online so you can check and see what your final bill might be. Or, just call ahead and inquire to get an idea of what you will be paying at a certain place. Don’t forget to leave room for tipping! If you are at a loss as to how to find the best Stillwater massage, don’t fret. There are many resources to help you along your way. The internet is a good place to start, as a quick search will provide you plenty of options. Also inquire with friends and family to find what spots they like to frequent. Word of mouth is some of the best marketing out there. Choosing a spa is a personal choice, but there is plenty to help you in making that final selection. Stillwater spas are diverse, professional and top rated, so you can rest easy. This entry was posted in Massage Stillwater, Salon-Spa Stillwater, Spa Services and tagged massage, spa on March 3, 2014 by Credo Salon Spa. 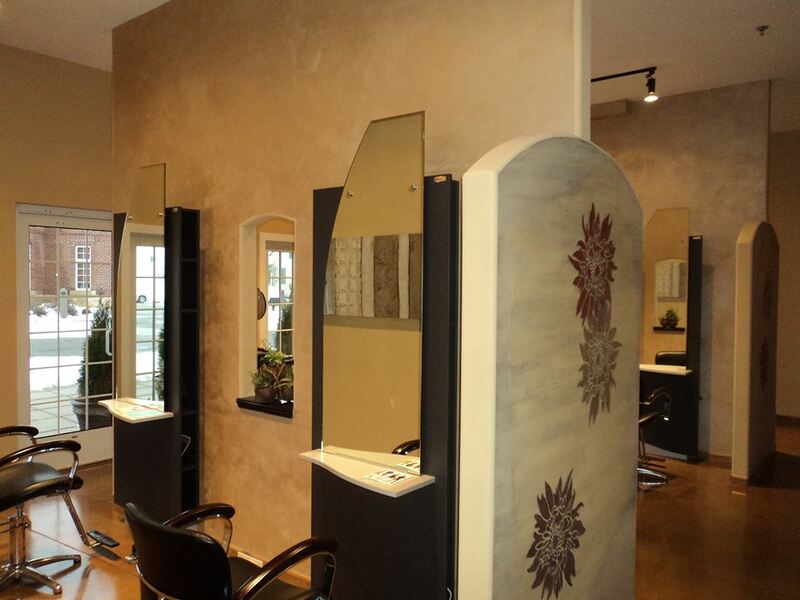 Stillwater Hair Salon offers a full line of services in a serene and comfortable atmosphere to all clientele. Women and men alike will have their needs fully catered to by friendly and professional staff. Services can include but is not limited to hair and nail care, waxing, make up and even skin care as well. With a wide range of choices and use of the most advanced techniques, this spa will quickly become a favorite destination for rest, relaxation and rejuvenation. In addition to the everyday services which are provided, the Stillwater Hair Salon also offers accommodations for special events. Whether it is for a prom, wedding or any other type of special occasion, these professionals know the importance of pampering and preparing adequately. This can allow the individual to relax knowing that they will look and feel their best. There are a variety of services available to help prepare for any type of big day. Individual and group services are always an option and are tailored to suit the needs of the individuals and occasion. Those that wish to take advantage of the multiple services offered by Stillwater Hair Salon will be pleased with the number and type of packages available. There are a variety designed to meet the unique needs and wishes of the customer. Those seeking more than one service may also be eligible to receive discounts during their visit. In order to ensure satisfaction, packaging can be customized for a personalized salon experience with the same great savings. This entry was posted in Hair Products Stillwater, Hair Salon Stillwater, Salon-Spa Stillwater and tagged hair care, nail care, skin care on February 25, 2014 by Credo Salon Spa.